Niel Bethell is CEO at NSS Group based in Hale. BGF invested in his business, High Access in 2016. In 2018, High Access merged with another BGF-backed company NWC Group to create NSS Group. BGF is the UK and Ireland’s most active investor in growing businesses and has a team based in Manchester. Niel speaks to The Cheshire Magazine about his business and what his plans are for the year ahead. My company is an ‘at height’ property maintenance specialist. We can repair or maintain any part of a building’s façade. We’ve had a stronghold in the North West for a number of years but in 2016, I made the decision to kick on towards a national expansion. We attracted investment from BGF and went on to buy two businesses taking us in to Scotland and the entertainment and sports sectors. This year, we turbo-charged that growth by merging with NWC Group. Now a £30m turnover facilities management business, there are too many highlights to mention. 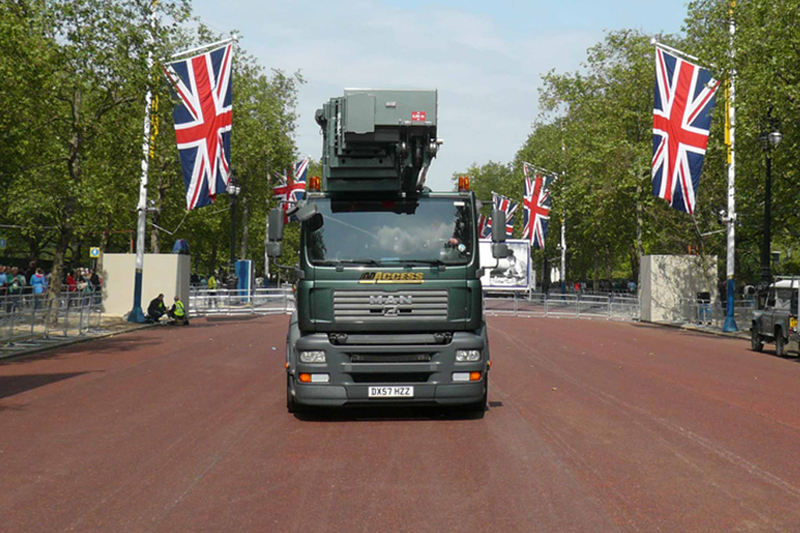 We work with the biggest players in the property industry to help maintain their estates, retail chains, high-end and (literally) high residential and we also lease machines and operatives into the TV and film industry meaning we had a front seat at this year’s royal wedding. Where next – what are your ambitions for 2019? Following the merger, we’re currently going through a rebrand process and my focus is making sure our people feel empowered and part of one ambitious business pulling in the same direction. Culture is key and we are working with every employee to build the career they want with us at NSS Group. My big goal is beyond this year and I have a mission to create 1,000 jobs by 2021. I hardly recognise the business I was leading just a few years ago. And what about out of the office? What do you do to relax and recharge? Anyone who does business with us knows my right-hand man, Boris. Boris is a poodle and he joins me in the office every day - the team and clients all prefer him to me, but you can’t blame them! Taking him out for a walk really helps me to step away for some time-out. The only way I really switch off is to leave Cheshire and I try to get away once a month. I have a place in Cannes and a boat which I move around the South of France. After my kids and Boris, it’s my pride and joy. Sailing works for me in a number of ways. From the boat I had in Abersoch ten years ago to sailing ‘Plan C’ now, it’s the same sense of freedom and clarity that makes this my go-to. Spending time in France, I’ve met so many like-minded entrepreneurs and business leaders from the UK who are now friends. We do talk about our businesses and share ideas - so I suppose we never really switch off completely. Clare Roberts is CEO at family-owned Kids Planet. Following investment from BGF, the Cheshire-headquartered nursery business has grown quickly and celebrated its tenth year in 2018. BGF is the UK and Ireland’s most active investor in growing businesses and has a team based in Manchester. We talk to Clare about the year that’s been and what her ambitions are for 2019. It’s been a whirlwind year with some really significant milestones for Kids Planet. Now with 32 nurseries operating across the region, we’ve hit a decade of business and hired our 1000th employee. We’ve made five new acquisitions and taken further investment of £6.5m from BGF to accelerate our growth. Celebrating our tenth birthday was a real highlight. Hosted by comedian Russell Kane at The Mere Golf Resort and Spa, we used the opportunity to honour our amazing teams with internal awards for our brightest and best. More growth. BGF funding has unlocked the business’ potential and we have big ambitions to work hard to continue to expand. Our pipeline for 2019 is already really strong as the demand for outstanding childcare continues to grow. 95% of our nurseries inspected since 2012 have been awarded Oustanding by Ofsted. Our challenge is to quickly bring the new sites we acquire up to our own standards. I clear my head while I’m running and am planning to do the Manchester Marathon again in 2019. I choose not to listen to music and even though I feel like I’m switching off, by the end of a run, I’ll often have come up with the idea or solved the problem I’ve been wrangling with. I have three kids (aged 11, 7 and 5) and we love to travel with them and the rest of the family. 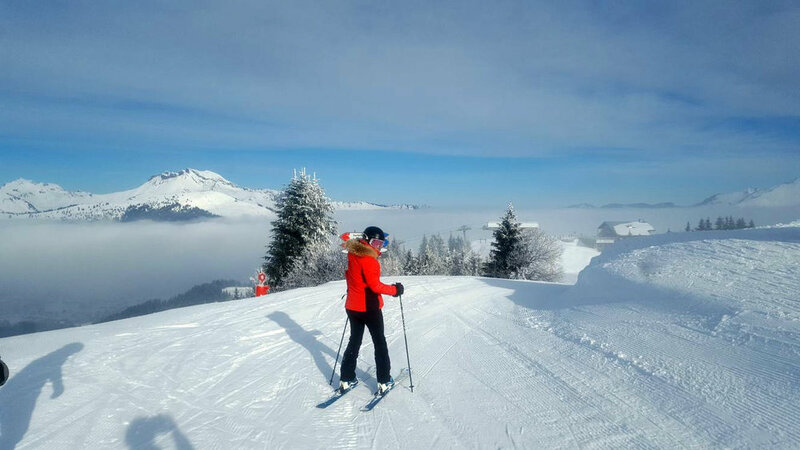 I didn’t ski growing up but am a keen skier now so my husband and I take them skiing every year to build their confidence. My own skiing is improving and find my confidence builds throughout the day depending on how many bars we’ve stopped at. We’re flying to Switzerland on Boxing Day this year – I can’t wait. Last year, we went to New York and Mexico over Christmas. It’s the one time of year that the business slows down slightly.